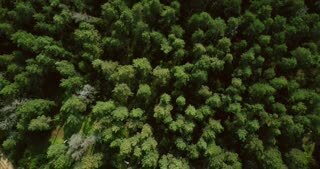 Drone flying forward above beautiful green forest. 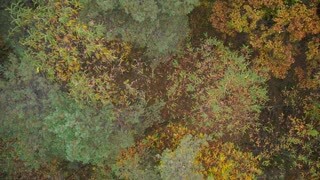 Aerial 4K flyover topview shot of early autumn treetops. AERIAL: Flying above the snow covered treetops of vast pine forest on sunny day.